The Joyful Buddhas is a space of silence, a space where all beings are welcome and encouraged to slow their pace of daily life and enjoy each & every moment. 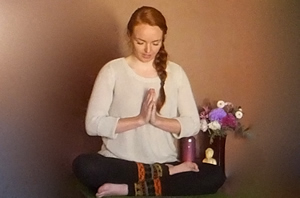 Incorporating yoga, dance, massage, energy balance, meditation and more, The Joyful Buddhas offers many tools to help balance, heal & rejuvenate all souls. All therapists & instructors perform & guide with a pure sense of loving kindness and joy. 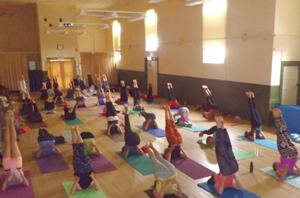 During the practice of yoga, combining movement, mind & breath, one becomes submersed in the moment, the here and now. Being truly present is a magical experience, an experience which can be attained through the practice of yoga & meditation. The majority of society today live hectic & demanding lives, resulting in a mind that is rarely present, a body that is exhausted and stressed, and a breath that is short & shallow. Our aim at the Joyful Buddhas is to relax, rejuvenate and ground all who enter our doors. Relieve the body, mind & spirit of its imbalances before they manifest into something more serious. At the Joyful Buddhas we are also passionate about working with children, our future generation. Children, as young as 4 are guided to look within, tapping into their inner world of love, creativity & knowledge. We aim to empower children to value their uniqueness, to enjoy their own space, to be aware of their thoughts and feelings & feel great about who they are. Yoga Instructor, Meditator, Mother, Writer and Joyful Being. Julie was a very deep feeling child and had a sense that her destiny lied in something that wasn't taught in schools, that she had a gift but didn't understand it. In 1985 at 25 years old the mysteries of life started to reveal itself from knowledge within. Unconsciously she was being gently guided on a journey overseas being able to release deep feelings from her past and reconnect with the power of light and love within. It was in 1987 that she was guided to learn about Reflexology and this was the beginning of a path to assist people in bringing their life back into balance and to the natural state of wellbeing. 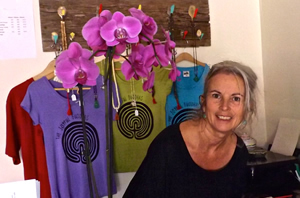 Being involved in healing helped Julie to gain greater insight into understanding the laws of the universe and the connection between the heart, mind and body. Julie's desire to align with her higher self & fulfil her true purpose and potential has drawn her to participate in many courses and teachings over the years. These include NLP, kinesiology, counselling, rebirthing, Reiki, The Art of Living, massage, yoga and meditation. 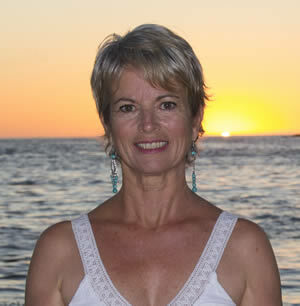 In 2007 Julie travelled to England to train with Marneta Viegas, the creator of Relax Kids™. Working with children had become her hearts calling, helping them to realise their inner beauty and power and to feel the love of their spiritual connection. These creative, fun, empowering and calming classes allowed Julie's own inner child to heal through joy. Meditation has become part of Julie's daily life and going within has deepened her connection to God, Divine Source Energy, and Julie channels this powerful vibration of LOVE to assist others on their path of healing and self discovery. Mother, Wife, loving people and community. Erin Swan is a certified Remedial Massage Therapist who is very excited to be a part of the amazing and talented team at The Joyful Buddhas. She moved to Victor Harbor 12 years ago with her wonderful husband and loves the laid back lifestyle and community feel of the Fleurieu Peninsula. They have two small children, who they enjoy watching develop and grow in this beautiful part of South Australia. 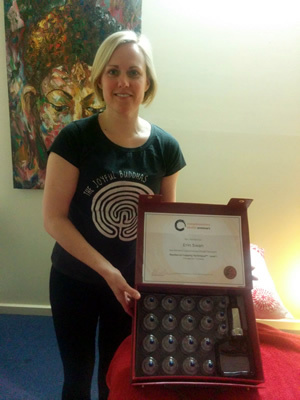 Erin completed her Diploma of Remedial Massage in 2014, and has added the Myofascial Cupping Technique to her toolkit in mid 2017. Her background is in Marketing, but she was drawn to study massage as a way of helping others. She loves seeing the immediate effects it has on people physically and psychologically, and also the way it makes her feel after a session. Erin plans to continually add to her massage skills over time, to get the best results for her clients. Come in and meet Erin every Tuesdays and Thursdays, she is looking forward to it.